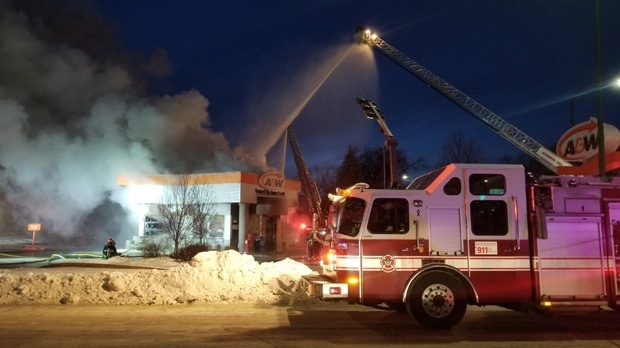 An A&W restaurant went up in flames Sunday evening. 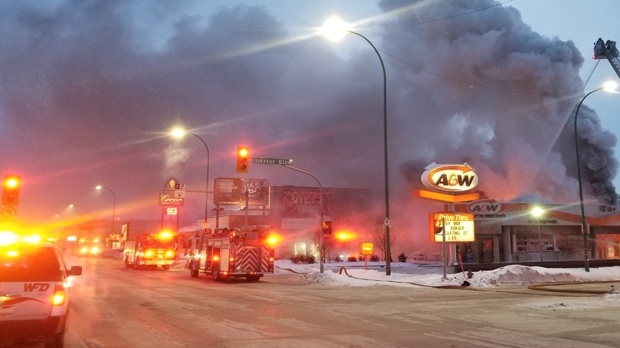 The Winnipeg Fire Paramedic Service was called to the restaurant in the 1400 block of Main St. around 5:15 p.m. When crews arrived, they say flames were shooting through the roof. High heat and heavy smoke forced them to retreat and fight the fire from outside. Crews are expected to be on scene well into the evening. Drivers are asked to stay clear of the area.